With an enviable reputation for excellent customer service, comfortable, stylish vehicles and over 20 years experience, why go any where else! We’ve been moving people around the UK since 2000, so we really do know how to do this successfully. When we started, we promised we would always go the extra mile. Since then we have actually gone some forty-five million miles! For us, it’s not just about providing quality service, operating a truly professional business, and delivering financial benefits to our clients, we offer far more than that. Being friendly people to work with, efficient at what we do and always ready to help even when plans change, or things go wrong. That’s how we try to be different. It works for us and our customers tell us it works for them too. Read what some of our clients say by clicking here. In 2000, a partnership was set up between Anthony Hancock (investor) and Malcolm Law (Managing Director). Together they wanted to provide a chauffeur service for the more discerning customer. Customers who expected their drivers to be on time, well dressed and well mannered every time. They formed Loop, The People Carriers. The original concept was to provide a chauffeur service using air conditioned, 7-seater MPV’s driven by smart, uniformed drivers, all having undergone driver and customer service training as well as police background checks, this was not actually the norm at the time. Nor was the use of Satellite Navigation systems, all Loop cars were ahead of their time with Sat Nav systems fitted. No matter how many passengers, the price did not vary and there was a serious focus placed on the safety of passengers, particularly females travelling on their own. 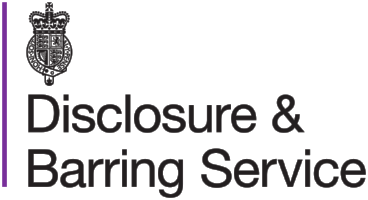 The company worked closely with Diana Lamplugh and the Susy Lamplugh Trust. In 2001 Loop became Retromotion and the company moved from MPV’s to E Class Mercedes which better represented the high quality executive car service the company was becoming renowned for. Retromotion became The Chauffeur Group in November 2004 and the company has gone from strength to strength acquiring a number of businesses along the way such as Grassbys Cars and A Cars, reputable Basingstoke companies and UK Airport Cars in Woking. “I was the first and only member of staff for a while. Although we had a serviced office address, I worked from my mobile 24/7 in those early years. With the help and support of Anthony I set up the business, developing the image and strategy as we gained more experience and grew our client base. We were new and different, which came with its challenges, but we soon recruited more drivers and office staff to cope with demand. Apart from Malcolm, who recently decided to semi-retire and take a reduced role on within the company, our longest standing member of staff is Steve H, one of our controllers, the company inherited Steve from one of our previous acquisitions, Grassbys, this means he has actually achieved over thirty years of service in total. Our longest serving driver is Steve F who has been with us since 2004, again he came with an acquisition, this time A Cars. Steve is a very professional driver who we could confidently send to collect anybody, even the queen! “I like the lifestyle and the flexibility to work around family commitments and I even manage to squeeze in some golf during the quieter times of day! The Chauffeur Group is a very open and honest company and I like the way it operates and that I can have an input into it’s future and how it is run. 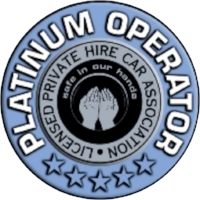 We retain our drivers for long periods of time mainly due to our straight dealing, fairness, punctual and reliable payment, and the opportunity to earn a reasonable living with a professional company. If you would like to find out how you can work with use, click here. What are the company values today? Our values haven’t changed. The Chauffeur Group stands for; Reliability, Excellent Service, High Quality Vehicles driven by Professional, Helpful and Friendly Drivers, who have been thoroughly trained, particularly in how to interact with their passengers. There is so much more to The Chauffeur Group than just a taxi to the airport. Throughout our years of trading in the executive chauffeur car and corporate travel business, we have always worked closely alongside our customers, understanding things from their perspective in order to deliver business benefits that make a difference. In this industry the future is very much focussed on technology, for bookings, payment and vehicle choice. We understand the environmental impact our industry has and have begun to make the move over to electric cars. Some new technology eradicates human interaction, such as driverless cars. Although we embrace change, we also believe there will always be a need for the personal service we are renowned for, particularly for our corporate clients. These clients need to be able to communicate with us and get advice about pick-up times, routes, special requirements and reassurance, particularly when we are transporting their VIP clients or directors.